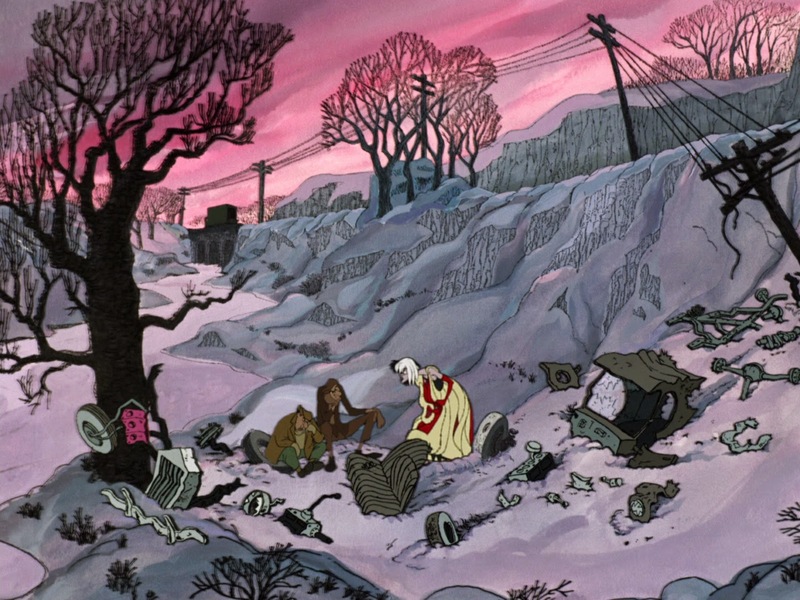 After Cruella and the Baduns crash their cars during a chase, we see the characters stranded in the snow among automotive wreckage. Cruella yells at Jasper and Horace, and blames them for this embarrassing outcome. The scene is fielded as a long shot, we see the tiny trio stuck in a wintery landscape. Before animation began, the smart decision was made to draw the characters full size on 16 field paper. Later the artwork would be reduced with the help of the Xerox process. 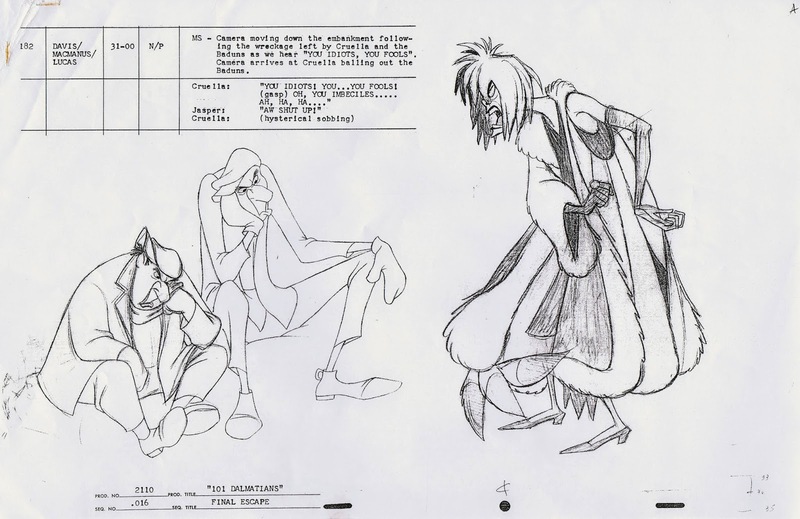 This is Cruella’s last scene in the film, and animator Marc Davis wanted to be sure that he could articulate her frustration in a thorough way, without being tide down to a teeny drawing size. It is a beautiful piece of animation, full of comic rage and defeat. So, in a way it’s a shame that we can’t see all the subtleties Marc put into the scene as far as drawing and acting. Still, the framing works great for the film’s continuity, and presents an effective final blow to Cruella’s nasty ambitions. 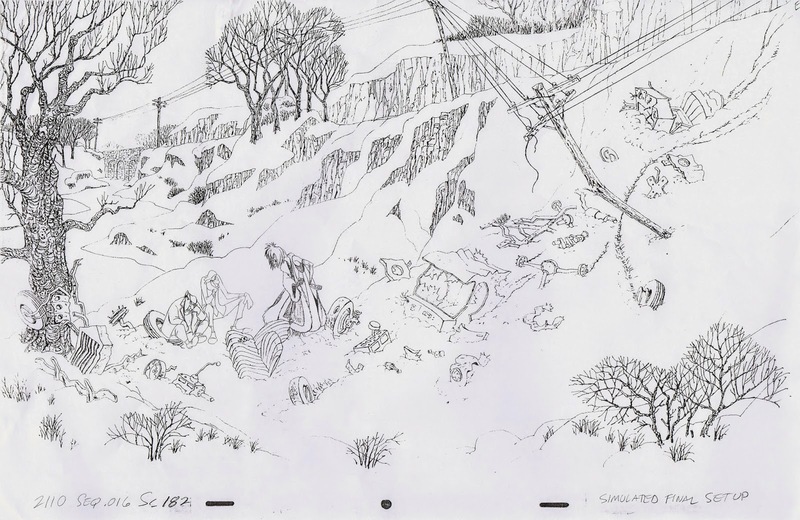 Here is the line drawing of the scene, followed by the much larger sized character drawings. What a great pose for Cruella! Marc was on fire with this character.